The Evaluation Cooperation Group (ECG) is dedicated to harmonizing evaluation work among multilateral development banks (MDBs) by working to strengthen the use of evaluation; providing a forum to share lessons; developing harmonized performance indicators, and evaluation methodologies and approaches; enhancing the professionalism of evaluation; and helping build evaluation capacity. 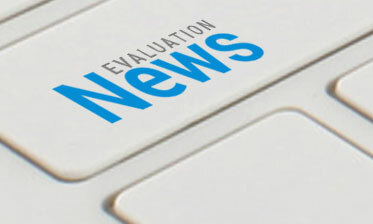 Would you like to know more about how the Independent Office of Evaluation (IOE) provides evaluative evidence to guide IFAD's evaluation processes? This is a full time position at grade 7. The term of this contract will be 4 years. Assessment Centers for selected applicants would take place end of May / early June. Today 21 March 2019 in Brussels, at the high level conference: A global approach to sustainable finance, EIB President Werner Hoyer delivered the opening remarks for session three: How to channel private capital towards sustainable investments. The EIB has signed an operational agreement amounting to PLN 59 million (approx. EUR 14 million) with Pomorski Fundusz Pożyczkowy sp. z o.o.